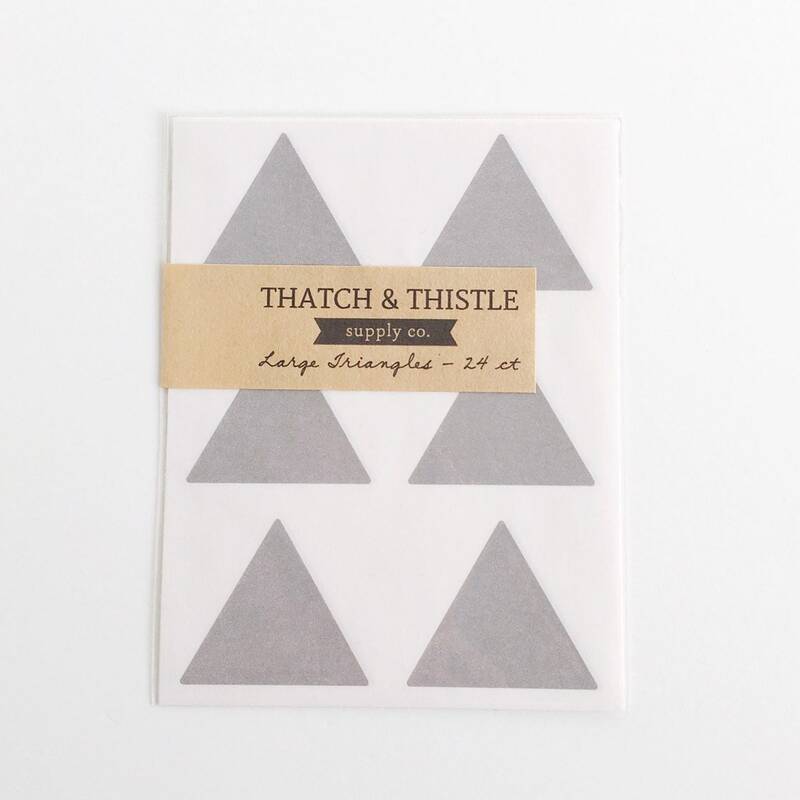 This listing is for a set of 24 lovely triangle stickers in charcoal gray. Stickers are perfect for sealing envelopes, invitations, cards, crafting, parties, weddings, showers, gift wrapping, scrapbooking and embellishing your packaging! These stickers measure 1.5 inches and come packaged in a clear resealable envelope. Stickers can be special ordered in different colors or to meet larger quantities. Currently, I do not offer custom printing. If you need a larger quantity than listed or the color choices available, contact me for details. NOTE: This is a stock photo of this listing. You will receive stickers that look identical to those pictured. If ordering multiple listings, stickers may arrive packaged in one envelope. If you need each set packaged individually, add your request in your note to seller when purchasing. Please allow for color differences on your computer screen.